This stainless steel outdoor wall down PIR sensor light with manual override facility is practical, stylish and rated IP44 making it weatherproof. When fitted on an exterior wall it will light the area below with a pool of light during the hours of darkness to help visitors find their way. Switch the power on and off twice within a 3 second period to enable the manual override facility. 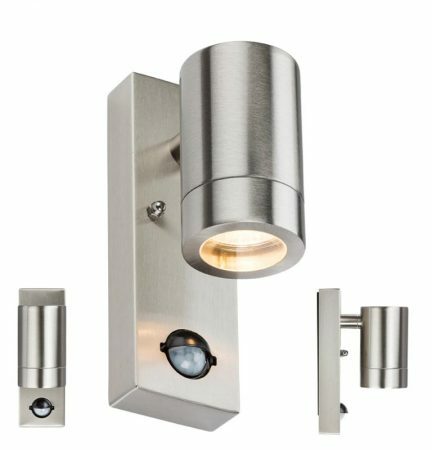 Manufactured from 304 stainless steel with an integral adjustable PIR motion sensor, it has a maximum detection range of 8m when mounted at the recommended 2.4m height. The built in lux sensor ensures that it only operates during the hours of darkness.